Across 2 Cultures - Cross-Culture Parenting and Lifestyle Blog: Chatty cool baby. I had a wonderful three days by myself doing touristy stuff (visiting the Opera, chateau de versailles and having coffee in the Louvre) last week but I am so happy to have my baby and hubby home. 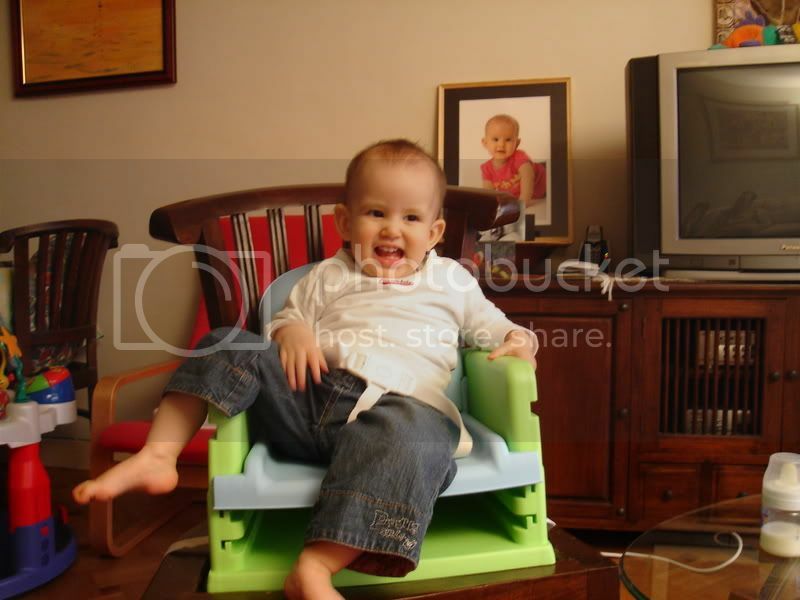 :-) It seems that Laetitia had a good time with her mamou and papou (that's how she calls her paternal grandparents). She loves the space she has to crawl around and enjoys chasing after the cat. We'll be off to visit them again at the end of the month and this time we might attempt to leave the little pie behind for a couple of days to a week while we return to Paris by ourselves. Wish us luck and success. Anyways, here's her striking a cool relaxing pose after she finished her dinner.